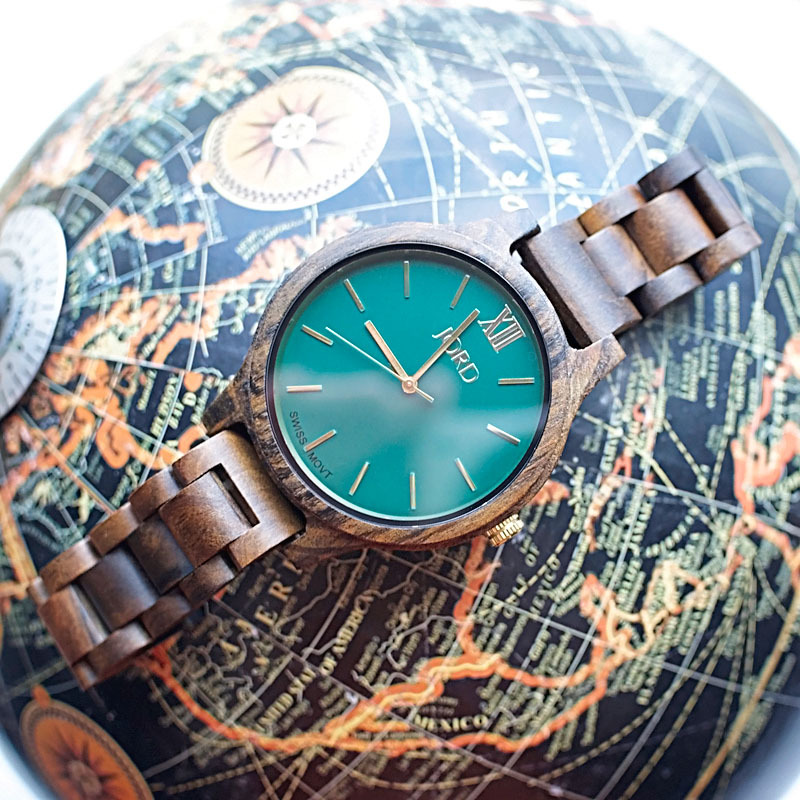 This post was sponsored by JORD Wood Watches. All opinions are 100% my own. I only share things I honestly like. When my husband and I were first dating, he explained to me that gifts were a big deal to him. He once stated, as matter of fact, that “if you love someone, you know what they want without having to ask them what it is.” This put so much pressure on me to try and figure out what he wanted! After almost 7 years of marriage, he has changed his perspective a little. He’s learned that I rather tell him specifically what I want, than to be surprised with something. I’ve also gotten better at being able to read and discover what he wants. But overall, the biggest change, especially since we are no longer starving students, is that the gifts that mean the most to us are usually the ones with a special meaning. For us, the greatest gift is that of time. Between 2 kids, work, and hobbies, our time together is strained. We try to make the most of it. Our time together is our daily gift to one another. 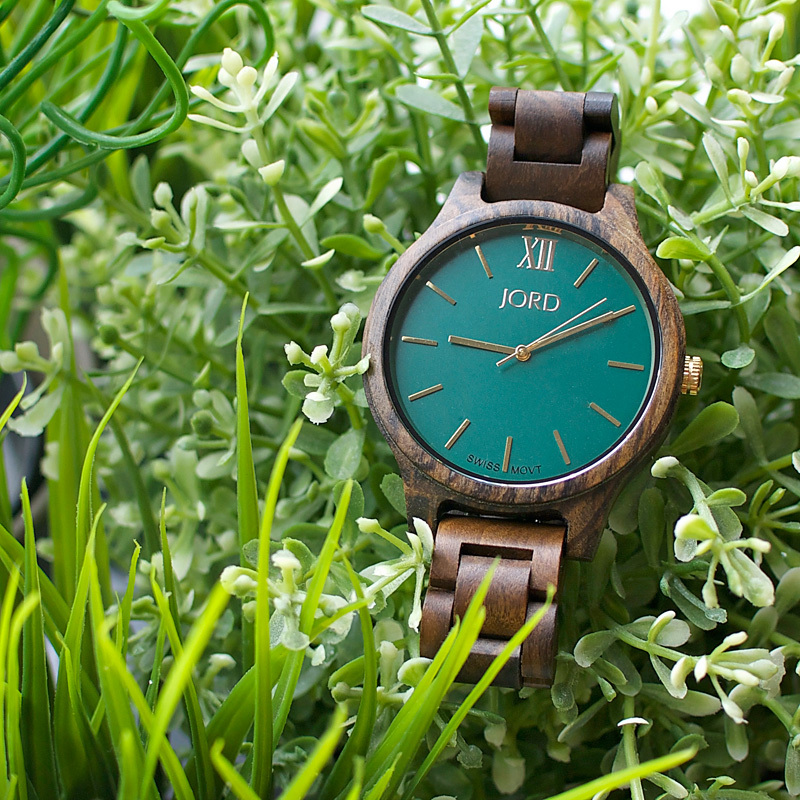 That’s why I love this JORD Wood Watch as a gift. It’s a symbolic representation of what’s most important to us–our time together. Every time I look at it, I’m reminded of the precious time I get to have with Michael and how important it is to me. Plus, let’s be honest, it’s also just a super cool watch. 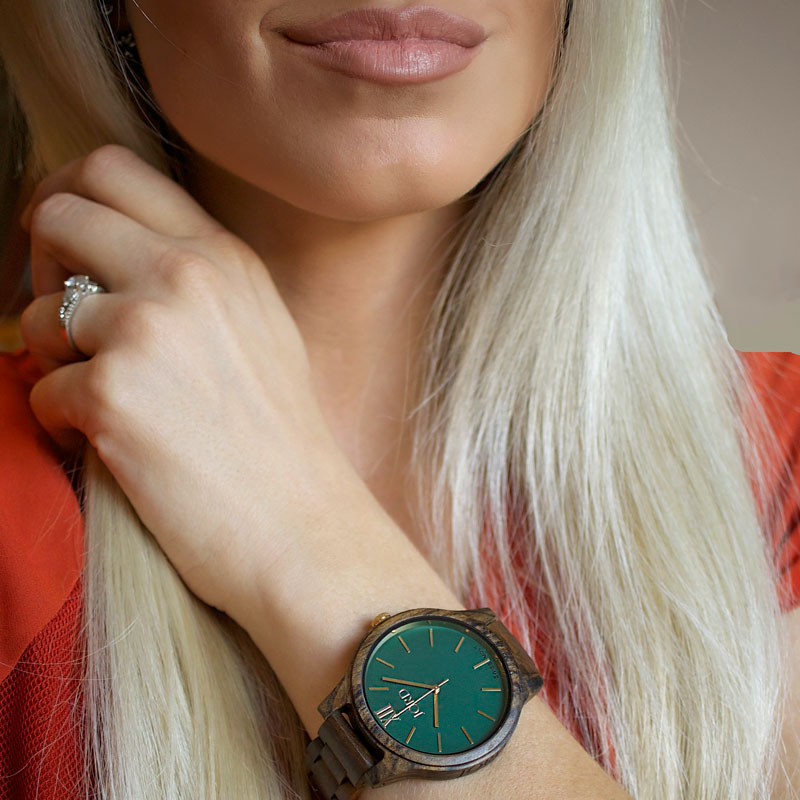 This is definitely my favorite women’s watch I’ve ever owned. 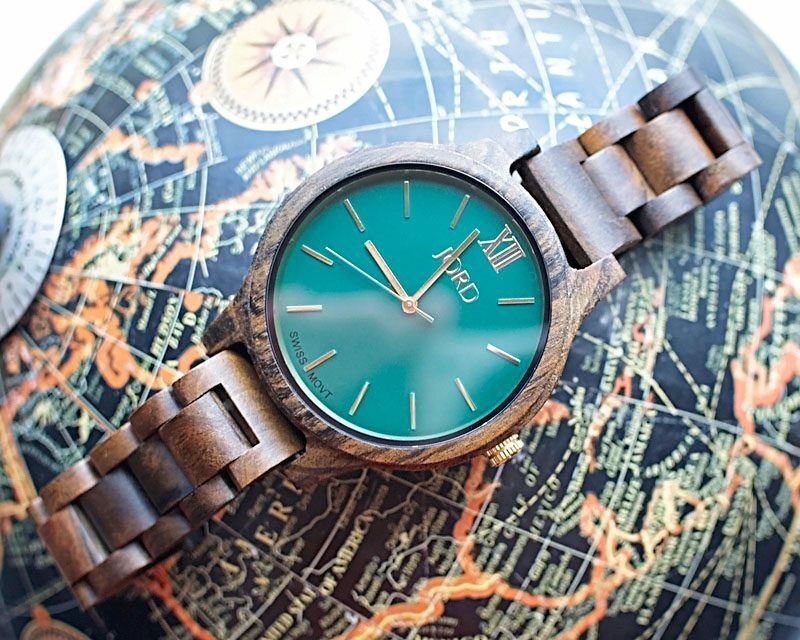 The band is constructed from Sandalwood. 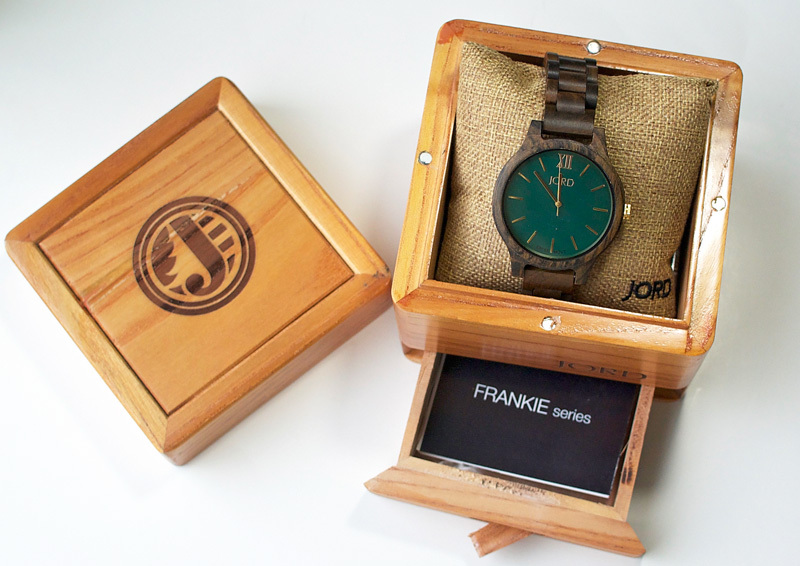 It’s the Frankie model from JORD Wood Watches in Dark Sandalwood & Emerald. When you order online, they make it simple to get a custom fit. You simply print their measurement ruler, and use it to submit your specific size. Besides being a unique watch, the packaging is also very exquisite. You really can’t go wrong with one of their watches. I especially love the bottom drawer of the box, which gives a perfect spot to put a little note to your loved one about why you selected the watch and what it signifies between the two of you. Right now, JORD is doing a sweet contest and everyone who enters gets a promo code emailed to them for a $25 e-gift code! You have until 12/18/16 to redeem your code. The code will expire on 2/28/2017. Best of luck on all of your holiday shopping adventures!